The Arvada Police are asking for the public’s help in identifying the suspect in two recent armed robberies. The suspect is described as a white male, approximately 30 years of age with reddish/brown colored beard. He is 5’10” to 6’0” tall with a medium to heavyset build. 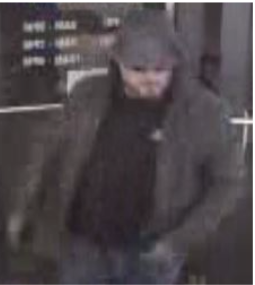 On the evening on January 13, 2018, the suspect entered a Papa Murphy’s store in the 7700 block of Wadsworth Blvd in Arvada and demanded money from the employees. After being given the money, the suspect fled on foot. Five days later, on January 18, 2018, the same suspect committed a similar robbery at a pet supply store in Westminster. 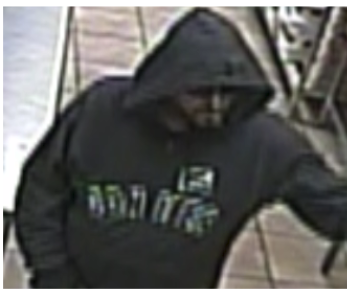 Anyone who recognizes this suspect or has information about these robberies is asked to call Arvada Police at 720.898.6774 or Metro Denver Crime Stoppers at 720.913.STOP.